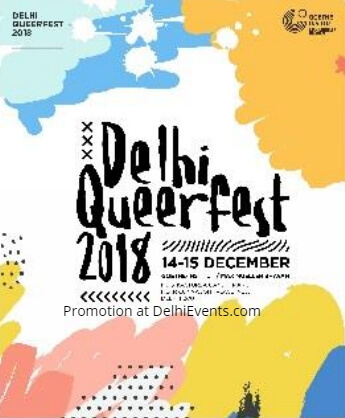 Delhi QueerFest is a queer arts festival held across the city in Fall-Winter. It brings together conversations, performances, visual arts, and publics to hold queer culture as a significant site for politics. Queerfest believes queer to be identity, form, narrative, verb, counter norms, relations, and oppositional practices that challenge dominant ways of seeing, reading, and being in the world that are exclusionary and enforced. QueerFest is in its fourth year as a community funded festival in the city and looks forward to your participation in shaping worlds in the present and struggles for the future. This year the festival opens with an evening of conversations around queerness and the journey so far, continuing with a second day of conversations that will end with a movie screening. complete address is already given.